Compulsory Rotatory Internship from 17-1-1995 to 16/1/96 in S.S.H., B.H.U. Three years of clinical and research experience as junior resident (Jan 96 to Dec 98) at B.H.U. One year as resident surgeon in dept. of surgical oncology at Kidwai Memorial Oncology Bangalore. Three years as Mch resident. Two months observership in Head & Neck unit at Tata Memorial hospital. 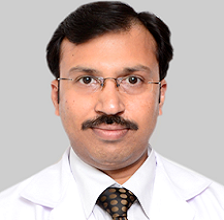 Worked as Consultant Surgical Oncologist from 3rd Feb 2004 to 24th may 2006 at Jawaharlal Nehru Cancer & Research Hospital, Bhopal which is one of the premier cancer institute of Central India. Worked as Assistant Prof. In Dept. Of Surgical Oncology, Gujarat Cancer & Research Hospital, Ahmedabad since 25th may 2006- dec 2007. MINIMALLY INVASIVE THYROID SURGERY - National Endocrine Hospital, Hanoi, Veitnam 2014 with Prof. Luong. TRANSORAL ENDOSCOPIC LASER SURGERY at Genoa Italy-2014 with Prof. Paretti. HEAD & NECK ROBOTIC SURGERY Severance Hospital, Yonsei University, Seoul, Korea Feb 2016 with Prof Yoon Woo Koh. LATERAL SKULL BASE SURGERY COURSE November 2017 at Gruppo Otologica, Piacenza, Italy, Prof Mario Sanna.performing Robotic and endoscopic assisted head neck surgery. Joined Max Superspeciality Hospital, Patparganj, Delhi as HOD- Head & Neck Surgical Oct 2013 - Feb 2017.